Lol, if anyone had doubts why Technopark claims the title of being the greenest IT park in the world, feast your eyes on this image shot by a friend of mine, Sudheesh. I would be willing to wager a handsome fortune (which I don't have, for the record) on the fact that no other IT park in the wide world has as much green beauty. And don't take my word for it, ladies and gentlemen. There are quite a few people I know who have seen IT parks across the world, from Silicon Valley to Cyberabad, and testify to the fact that the sight of giant IT buildings surrounded by greenery and with a breathtaking sea vista is unique. Well, if they put up a park in Hawaii, there might be some competition. Hmmmmm.....hula anyone? The pyramid is the tip of the roof of the TCS Peepul Park, to its left is the 500,000 sft Bhavani and then the 850,000 sft Thejaswini. The top of Pamba and Periyar are visible to the immediate left of Bhavani, with the original TCS Training Centre next to them. 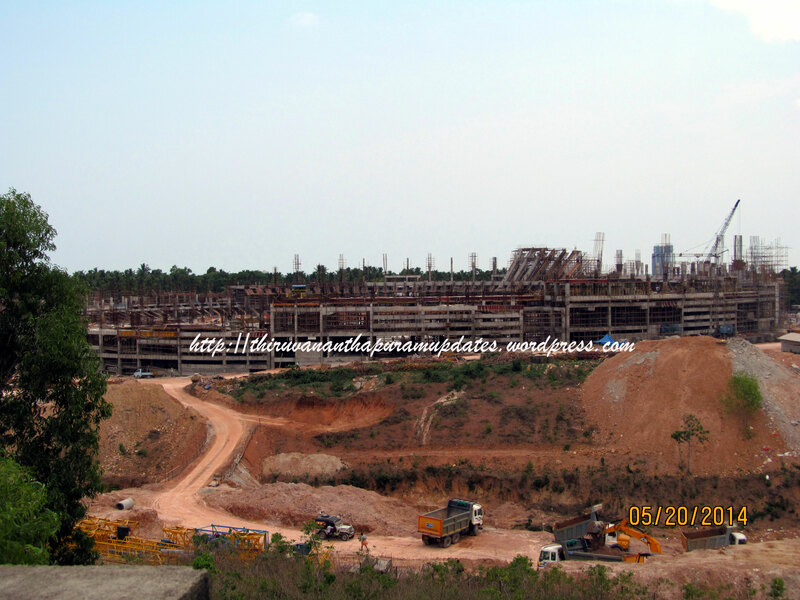 The other roof seems to be that of Padmanabham.The bare patch of land, with the power lines crossing it, which can be glimpsed in the middle of the frame is the Infosys Campus, Technopark Phase II.